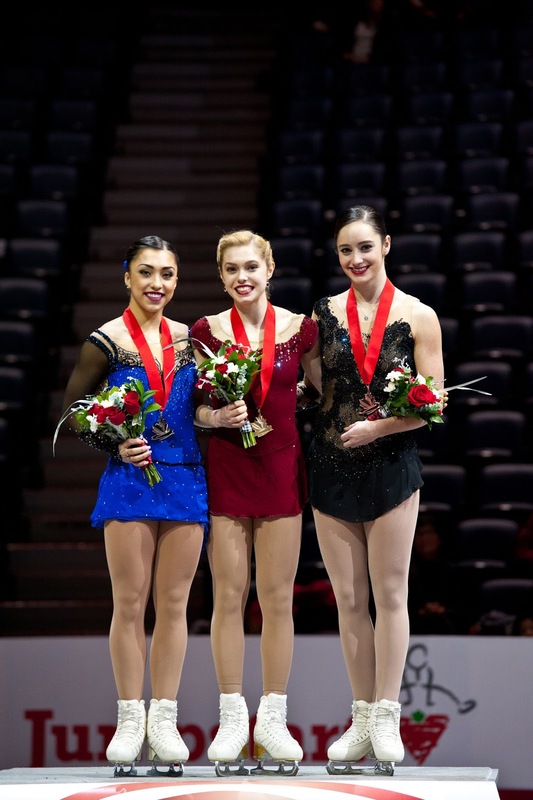 Last month Bloomex was delighted to continue its duties as Official Florist for Skate Canada! Bloomex provided all the florals, gift baskets, and medallist bouquets for the very exciting Canadian National Championships in Halifax, Nova Scotia. 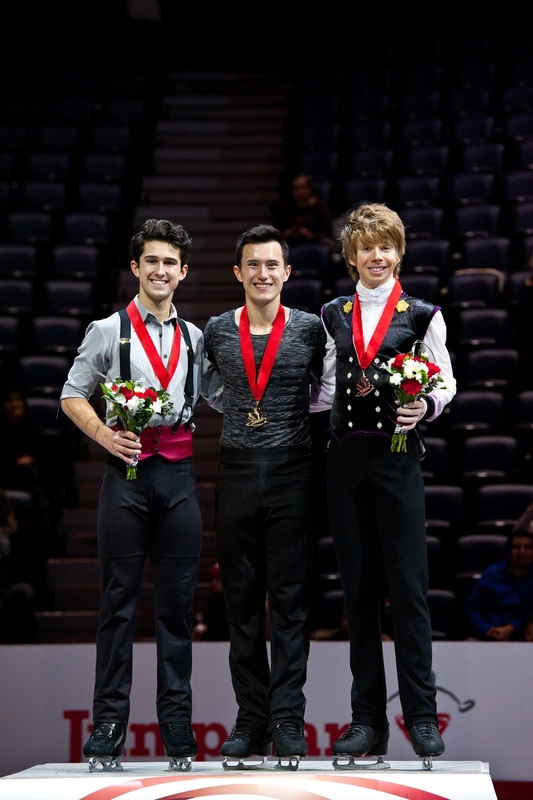 Halifax was pleased to host this event as skaters from across Canada converged to compete for the medals in the different age categories and competitions. 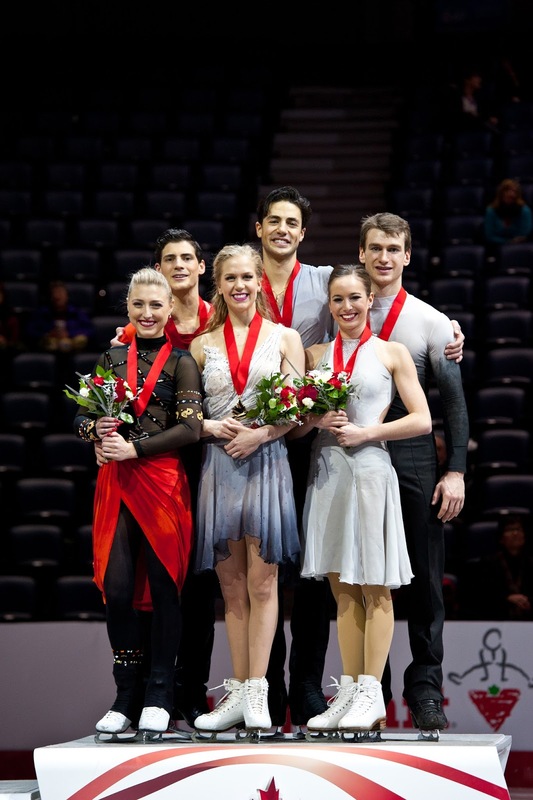 Fans were treated to amazing performances from the county's best skaters. The venue was brightened by several lovely floral arrangements from Bloomex, which highlighted the judges' lounge, skaters lounge, reception area, VIP lounge and other key areas around Scotiabank Centre, all to suit the red and white Canadian theme. VIP guests received gourmet gift baskets and some welcoming bouquets. School children who visited were also treated to some cuddly Bloomex teddy bears which were also used as prizing for some of the CanSkate competitions. The Bloomex team designed a lovely red and white bouquet for the 2016 medallists, with plaid ribbon to coordinate with the setting in the Maritimes, and "ice crystal" branches to accent the wintry setting. 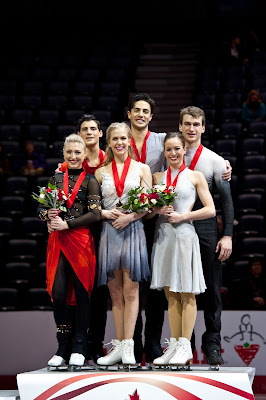 The medallist bouquets were enjoyed on the podium by all the winners, including men's champion Patrick Chan, and women's champion Alaine Chartrand. Congratulations to all the hard working skaters who dazzled at this premier event. See below for a recap of the top winners in the senior events! 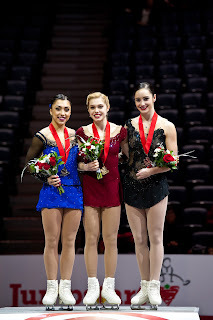 We are looking forward to our next event with Skate Canada: the National Synchronized Skating Championships in Waterloo, Ontario, February 19-21.